FFE Magazine > Life and Lifestyle > Health > Is technology good or bad for my baby? Children under five years old have an uncanny knack of knowing how to master new technology. 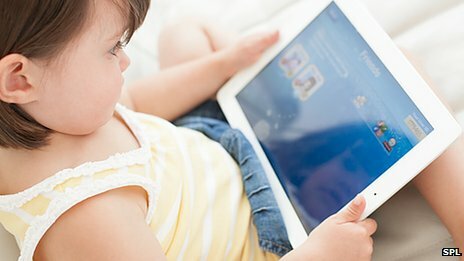 From smart phones to tablet computers and game consoles, it is not unusual to see toddlers intuitively swiping screens and confidently pressing buttons. Even if parents enjoy the momentary peace that comes with handing a small child a gadget to play with, parents secretly worry that this screen time is damaging their brains. But it appears that screens can be beneficial to learning – and the more interactive the experience the better. Research from the University of Wisconsin, presented at a meeting of the Society for Research in Child Development this week, found that children aged between two and three were more likely to respond to video screens that prompted children to touch them than to a video screen that demanded no interaction. The more interactive the screen, the more real it was, and the more familiar it felt from a two-year-old’s perspective, the study suggested. Heather Kirkorian, assistant professor in human development and family studies, carried out the research and says touch screens could hold educational potential for toddlers. When she did another test on word learning, the results were repeated. “Kids who are interacting with the screen get better much faster, make fewer mistakes and learn faster. 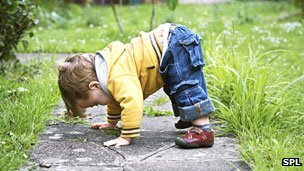 So breathe more easily parents, your toddler is just doing what comes naturally and interacting with the world. In any case, technology, in the form of phones and tablets, is here to stay. Many primary schools and some pre-schools have introduced iPads into the classroom to facilitate learning. Technology, understanding how things work, and ICT are part of the curriculum. However, her main concern is that parents are not always good role models. Christine Stephen, study author and research fellow at Stirling, says most parents understand the dangers of addiction and passivity, and set up rules on screen time to make sure that children do a wide range of indoor and outdoor activities. But there are other experts in the field who disagree. Psychologist Dr Aric Sigman has regularly said that children are watching more screen media than ever, and that this habit should be curbed because it could lead to addiction or depression. He calculates that children born today will have spent a full year glued to screens by the time they reach the age of seven. If true, few people would argue that this fact is scary. Yet, if only 9% of UK children do not have access to a computer at home or school, as studies suggest, then screens are pervasive. There is no going back.The key must be for children to use their time in front of them to best advantage by downloading the best apps and the right software to aid their learning. She also maintains that good-quality programs and particular software can help children with learning difficulties develop the skills they are lacking. Online environments can also provide children with a virtual space to develop in confidence – something they might not be able to do in the home or the classroom, she says. Her message to parents is that two hours of screen time each day is enough for children aged six and under. Perhaps, in the end, they just want to enjoy technology the way adults do.